If you are looking to transport construction material using a Flatbed truck, you have come to the right place. Our Flatbed fleet totals 12 trailers which consist of regular flatbeds, stretch trailers and step deck trailers. 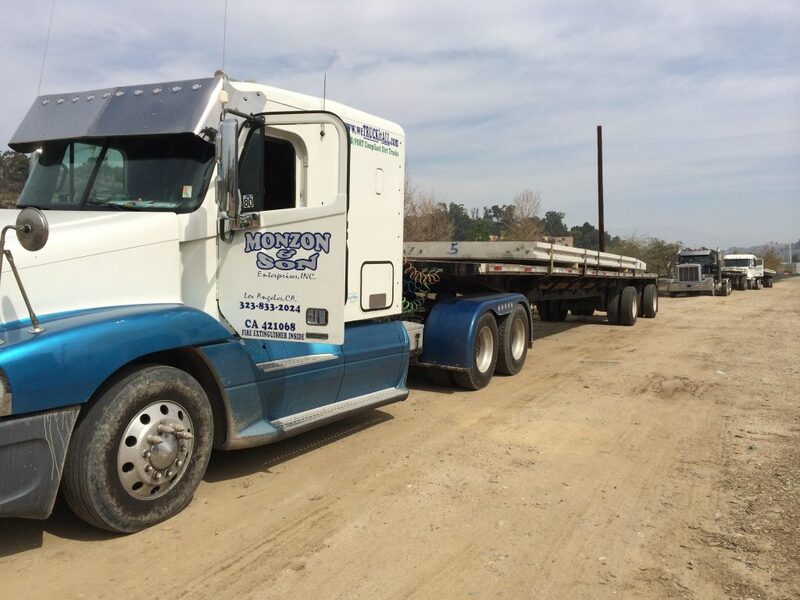 We haul mostly for the construction industry, specializing in k-rail, steel, precast, and over dimensional loads, but are willing to accommodate any customer’s needs. Our promise to you is well maintained vehicles and dedicated drivers who will be on site to do a pick up and delivery within the time frame requested. We welcome the construction sector but also trucking companies that do not have a Flatbed fleet and want us to partner up with them.